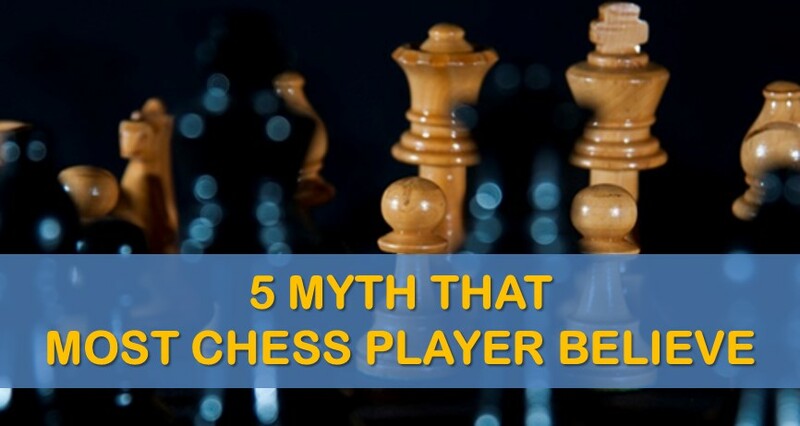 Chess is a complex game, and even though the rules are pretty straightforward there are also some un-written rules that should be followed (or not followed). 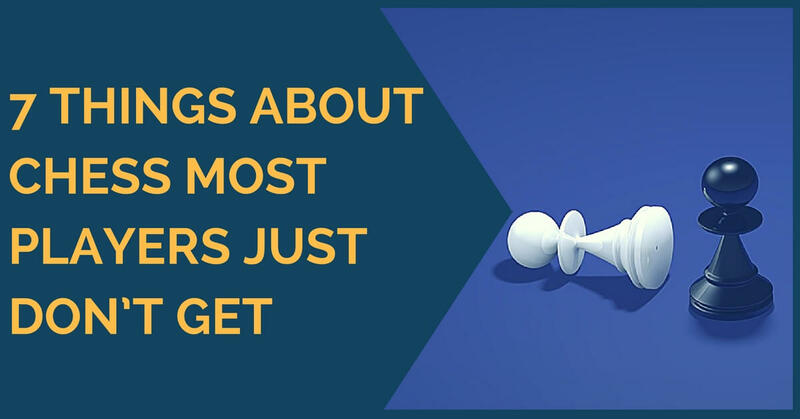 Oftentimes, chess players get confused about those things, by blindly following the rules. Surprisingly, it may lead to a disaster. 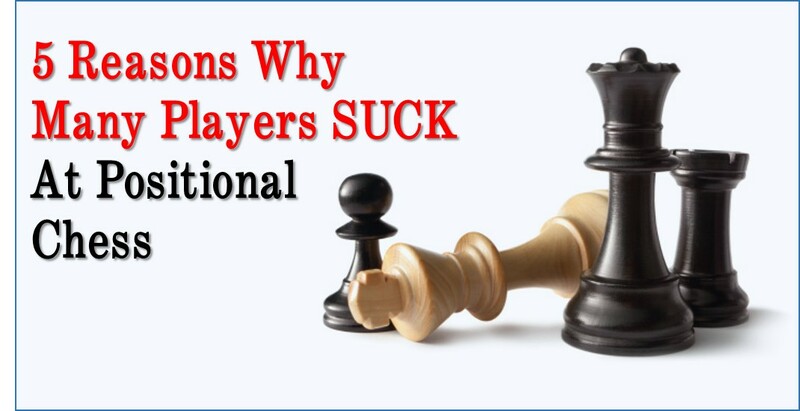 In today’s article we will talk about the seven things about chess most players just don’t get. Most chess players prefer playing safely. Playing safely is generally considered to be a good practice. What can go wrong if you keep everything protected and under control? Not many players eager to sacrifice pieces and play risky moves. It sounds much more comforting to avoid risk altogether while guaranteeing a win. Oftentimes, it is not possible, because in chess many things are beyond our control. Sometimes we end up down in pawns or pieces. In the position below white is in serious trouble. He is a rook and two pawns down. And if he continues “safely” for example developing the rook, he will surely lose. In this position white has a way of not only saving the game but actually winning it. After 1.Bh7! black loses by force. When you are losing a game it is much safer to take a risk rather than keep playing normally. If you continue playing safe and sound, you will definitely lose. Taking risk in such positions is a wise choice, since it increases your odds of not losing. Many players automatically recapture pieces without giving it a second thought. The habit of recapturing pieces is very powerful. Even grandmasters fall victims of automatic retakes, losing games and missing big opportunities. In the example below black just captured white’s knight on d4. Most players will think that there is nothing extraordinary about that maneuver and simply retake on d4 with a pawn. If you take 30 seconds to think about this position you will definitely find a much better move. Instead of taking the knight white can take the e8-rook, since it’s being attacked twice and defended just once! Best of all, white takes it with a check, and later on will capture the d4 knight as well. Instead of following the old “recapture” habit, white switches things over and wins the game. This is another thing most players don’t fully understand. They are always taught that if a piece is under attack it should be moved or defended. That’s why when players see a threat; they only focus on that piece, missing the big picture. In the position below black just pinned the white knight and a rook. This is how a typical chess player would think in this position. There is nothing wrong about this thinking, except that it won’t let you pass 140o elo. A stronger player would also take into account other possibilities such as checks, attacks and captures. After a brief analysis it is obvious that white has a much stronger threat Nf6+. Thus, he immediately plays it neglecting the hanging knight on c4. When your piece is under attack you shouldn’t limit your attention solely on that piece. 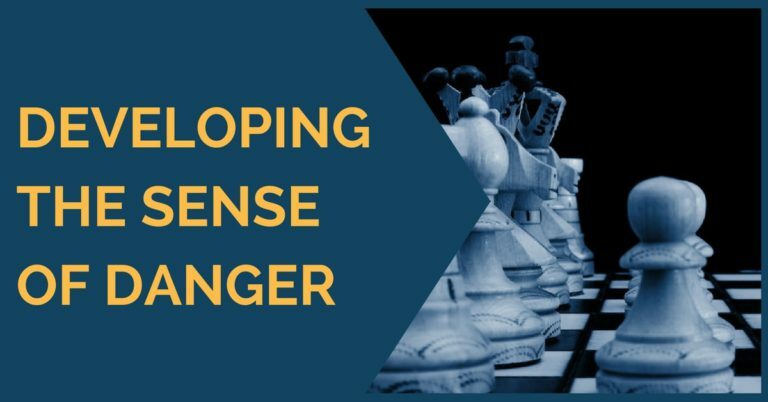 Instead, try thinking about other moves (checks, attacks, captures) that will create even larger threat for your opponent. It is called playing an active game. If it’s not possible you can always protect your piece as the last resort. Players get fixated on value of chess pieces. Everyone knows that a minor piece is roughly equal to 3 pawns, queen is 9 pawns and the rook is 5 pawns. Simple math is used to estimate whether it is a good or not to make an exchange. For example, it is obvious that exchanging a minor piece for a rook is good, since it wins two pawns. However, only considering the value of pieces and not taking into account the position in general is not a good idea. Let’s take a look at the position below. White has a rook (5 points) and black has two pawns (2 points). However, white is the one losing! How can it be? Does it mean that 2 pawns are actually more valuable than a rook? In this position the two pawns are more valuable than a rook, because of promotion threat. White would be happy to exchange his rook for two pawns and claim a draw, but it’s not possible. The material can tell you only part of the story. Without evaluating the position there is no way to judge what side is winning. This one can be slightly confusing. What it means is that objectively the strongest move on the board may not be the best move to play. In the position below white is a piece down. In this situation the strongest move for white would be to grab the b7 pawn, exchange the queens and to go for the a6 and c6 pawns with the rook. However, from practical point of view exchanging queens is not a good idea, when you are a piece down. That’s why it is better to play Qa7 preparing to take the pawn with the rook, keeping the queens on the board. White would benefit from complex position more because he is the one down in material. Every chess player was taught that castling is needed to secure your king. That’s why players castle whenever possible. It is a good general rule to follow but you need to be careful not to use this rule instead of common sense. In the position below white is about to castle. If he does, many bad things will happen, possibly leading to a checkmate. This is a good example of when you shouldn’t castle just yet and your king is better off in the center. Winning a queen is typically associated with something equivalent to winning the game. However, these things may mean just the opposite. In the position below black can capture the queen. Many chess players would immediately take it and start celebrating their victory. However it’s not so simple. That, in fact would be a terrible blunder leading to a checkmate in 1. Before taking the queen it is important to evaluate the position and understand all consequences. This example shows exactly what can happen if you don’t. You surely mean Black, right?